Couples generally spend Valentine’s day doing nice things, whether that be looking around a local museum or having a meal out. This is therefore a great opportunity for business owners… have you prepared? If you own a florist, restaurant, bar, hotel or attraction, chances are your establishment with be filled with doey-eyed lovebirds on February 14th. Here are some tips on how you can capitalise on this romantic day. This is very good news if you own a business in the retail sector, but only if you take the time to stand out! Stock up on some unique and creative card designs, if they’re handmade this is a huge bonus. Everyone knows what’s on offer in big chains and their stock is typically very standard. Valentine’s is such a personal day that people like going the extra mile to get something thoughtful and different. If you own a hotel or restaurant, you could also take advantage of this statistic. People want cards, right, so why not offer them? Yes, this business type isn’t typically associated with selling products but it’s a nice, personal touch. Place them by your reception desk so people have something to look at whilst you locate their booking. It will also give you the opportunity to chat with them about your Valentine’s deals whilst on the topic. You could offer a romantic service where you decorate a table or room with rose petals, chocolates and a bottle of champagne. Who wouldn’t book in with you for this special day? Again, if you own a retail establishment this is good news. However, you will only really feel the full influence of Valentine’s day if you make it very clear to customers what your offering. The best way of doing this is through your décor, marketing and advertising. Decorate your shop with typical Valentines accessories, put some red bunting up in the window and have a whole isle dedicated to cards and gifts. Make it simple for people to find what they’re looking for and compare their different options. If you make it obvious that your shop is the place to go for Valentine’s products, you will catch the attention of passers-by. You also need to take advantage of social media. You might have a fabulous new product range but people won’t be aware of this unless you tell them. Facebook is a great way of communicating with your target audience without having to spend much money. It’s also simple to use so there’s no excuse not to have a business page set up. Valentine’s is the day of the year for florists. It’s one of the only times that hundreds of orders are guaranteed! However, to make your business stand out there’s some things that you need to think about. Make sure you get a huge range of stock in, there would be nothing worse than having hundreds of requests but not being able to deal with them because you have underestimated the demand. Also, when buying in new items, try and look for things that are a little bit different. 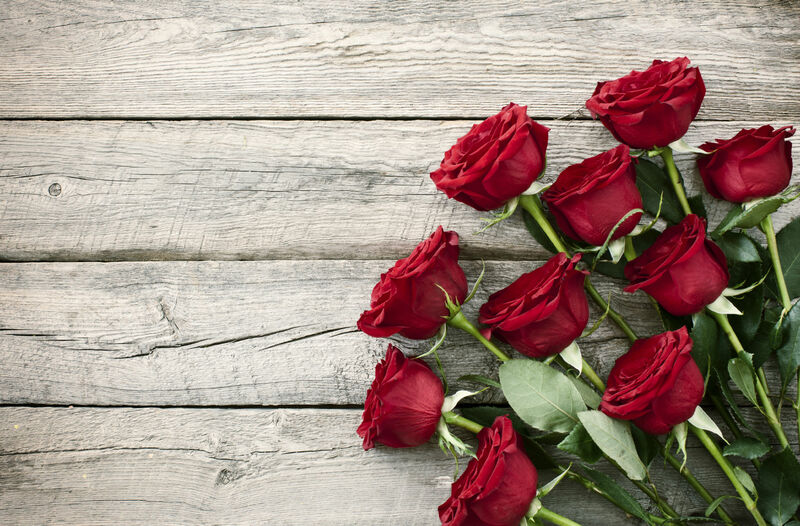 Lots of people will be selling red roses and although these are Valentines favourites how will they make you stand out from competition? You could pair them with some unique buds or include an attractive vase so that people don’t need to think about buying or finding one somewhere deep in their cupboards. You could also order in some small gifts so people can kill two birds with one stone. They can get the perfect flowers and a little extra treat for their partner. Maybe chocolates or a pretty photo frame? Lots of couples will be eating out this year too, so how are you going to encourage them to come to your restaurant? Deals have a key influence on where people choose to go. Many will be dining as a couple, so base your offerings around this. Two lunch time mains and two glasses of prosecco for £30? – Yes please! Alternatively, why not put on a specialised menu which includes a bottle of wine. You need to show that your restaurant is going to be the perfect place for lovers to dine so make the evening as romantic and cosy as possible. Book a soft and atmospheric band to play in the background, but make sure you inform people about this through marketing. It’s a key selling point and something that will set you apart from any competition. Do you own a bar, because chances are it will be full of single ladies and gents celebrating their freedom. Put on a special night for all those who aren’t in relationships. No single person likes having Valentine’s day rubbed in their face, so make sure they have just as much of a good time!